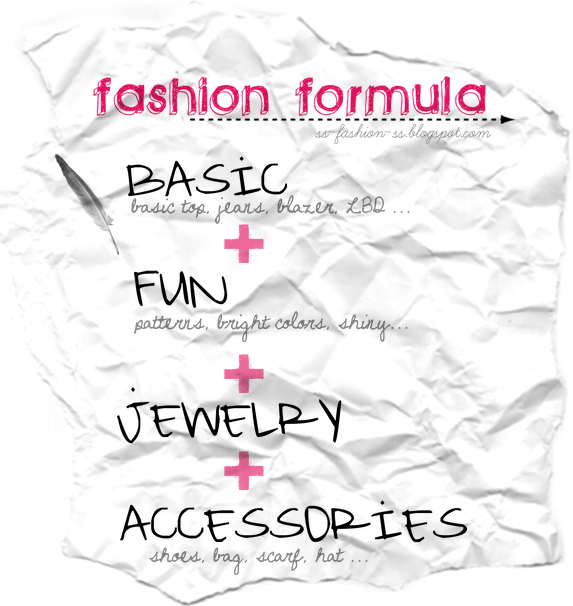 Is there any fashion formula ? No I don't think so, but you can just follow those few steps to make everything much easier. With this formula that I created for you, you can really play safe with it, because there is no any extreme tips here. So lets go step by step ! JEWELRY is the third one. Im pretty sure you know what that is, right ? So all you have to do is to put a few pieces of jewelry, but please don't put too much, only if you want to look like a gangster. Im going to explain you, how Im doing with jewelry (people who knows me well, know I cant go out of house without some jewelry on me). So when Im wearing necklace I don't wear earrings (only if they are small studs), when Im wearing bracelet-s, I don't wear ring-s. Funny, ha ? But I just think that is too much going on, if you do it different. Last but not the least - ACCESSORIES. This one is very important, because it can change your whole outfit. It is really important what you choose. But again-don't put too much ! super agree about the acc art, anyway, I used to forget how important acc is. thnks for reminding. Love the coral sandal on the last photo! Hey dear! Do you know where it's from that striped pant???? The one in the second line!!!!! !I I'm looking for something similar! such a fun tutorial! thanks for sharing!